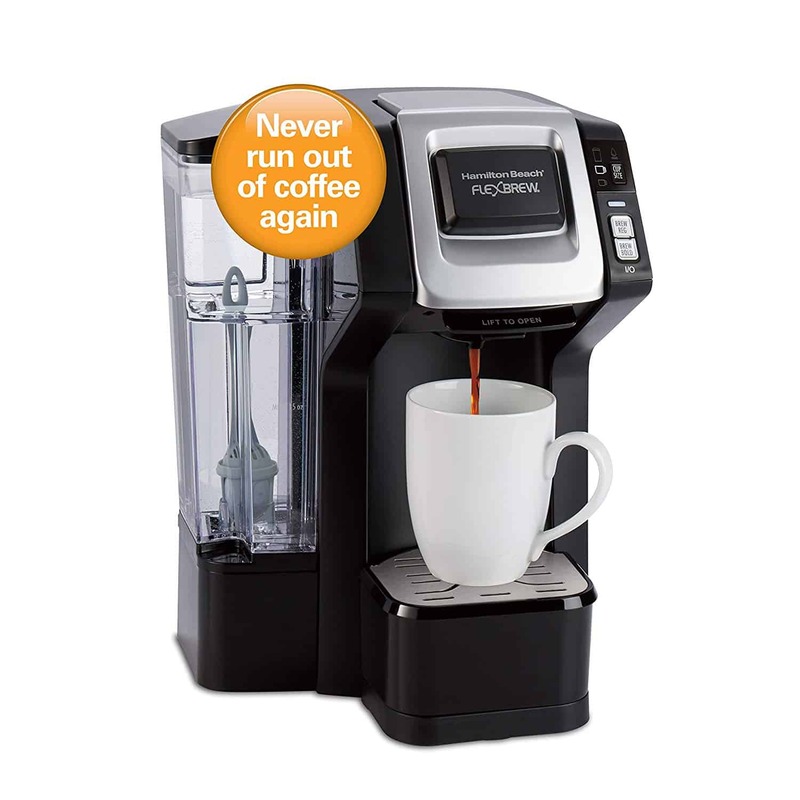 Brew your favorite coffee in this Hamilton Beach Single-Serve Coffee Maker that is available for ONLY $49.99 (Reg $90) with FREE Shipping in the Amazon deal of the day 03/23. NEVER RUN OUT OF COFFEE AGAIN. The HB Connect app is seamlessly integrated with Amazon Dash Replenishment to track your brewing and automatically reorder single-serve coffee pods and water filters before you run out. SIGN UP AND SAVE $15 ON YOUR FIRST REORDERS. CHOOSE YOUR COFFEE FOR REORDERS. Pick your favorite single-serve coffee pods from Amazon’s wide variety of brands and flavors. BREW TIME: In about 3 minutes, FlexBrew make a strong, great-tasting cup of coffee. And you save energy because rather than heating water continuously, FlexBrew only heats the water when you’re ready to brew. SELECT YOUR CUP SIZE. Choose from an 8 oz., 10 oz. or 14 oz. brew size. The adjustable cup rest fits a variety of mugs.